Click here to view the 17-20 FSU agreement. Click here to view a summary of the latest FSU grievance matters, many of which will have an impact on NTT members. Please contact the FSU office if you have any questions or need more information. 1. In all sections below that reference workload, percentage of time, appointments, lay-offs, salaries, etc. Fall/Spring CAPS and Navitas courses will be counted the same as ‘day unit’ courses unless otherwise specified (CAPS, or continuing education courses, are defined as all courses taught off-site, all courses taught on-site between Friday, 3PM and Sunday, and all Summer/Winter courses; see Article 36 of the contract and the Continuing Education section below). 2. Clinical Nursing Faculty- For a summary of contract language related to Clinical Associate Lecturers, Clinical Lecturers (all ranks), and Clinical Professors (all ranks), see the information at the end of this page. Note that all language in Article 21 (Non-Tenure Track Faculty) that is not explicitly relate to Clinical Nursing Faculty will apply to the latter unless otherwise specified. NOTE: ‘Bargaining unit’ refers to all employees who are covered by the contract (bargaining unit members are required to pay either union dues or an agency service fee to the union; see here for more info). Newly hired lecturers who are 50% or greater will have initial appointments of 1 semester, 1 year, 2 years, or 4 years (length of initial appointment is at the discretion of the dean). For more information on appointment schedules and notification of non-reappointment requirements see Article 21.8 and 21.9). Lecturers who are less than 50% are not eligible for continuing appointments and do not receive just cause rights. However, after 6 academic years of continuous service such Lecturers will be given priority for reappointment over non-bargaining unit members (please note the exception in Article 21.8.3 and item #3 of MOU 7 for non-tenure track faculty who were post-probationary, per-course lecturers in the 12-14 contract). Benefited Lecturers, Senior Lecturers, and Senior Lecturer II’s will normally be given a 4/4 full-time equivalent work assignment at a minimum of 25% time for each 3-credit course (note that some 3 credit courses may be paid at a higher percentage of time; see for example the payment policy for large-enrollment courses in the CLA 2/2 agreement). In addition, they will be assigned minimal, basic departmental service such as attending department meetings, advising students etc. (see Article 21.2.1). Non-benefited Lecturers, Senior Lecturers, Senior Lecturer II’s (i.e. those who are less than 50%) and Associate Lecturers of any percentage of time will not be given the basic service assignment mentioned above. Senior Lecturer II’s have the possibility of moving to a full-time load of 7 courses per academic year (3/4 or 4/3) with service and/or scholarship assignments for the other 25% of workload in the reduced term (see Article 21.2.7 for details). After 3 years of continuous full-time equivalent service with no more than 2 prior semesters at less than 50% and no more than 1 prior semester at 0%, Lecturers who are 50% or greater will be granted continuing appointments without a termination date (i.e. full-time Lecturers will achieve this status after 3 calendar years; half-time Lecturers will achieve this status after 6 calendar years; see here for an example of how a continuing appointment will be impacted by time served at less than 50%). Note that periods of authorized leave such as sick leave, parental leave, professional development leave BUT NOT leaves caused by the employer (i.e. lack of work) will allow you to maintain your continuity of service. Maintaining continuity of service means you do not have to start your continuing appointment clock over upon resumption of work assignments. However, you will not accrue time toward your continuing appointment during such leaves (see Article 21.13 for more information). Lecturers who are granted continuing appointments will also be granted just cause rights. Just cause rights ensures that the employee cannot be terminated for arbitrary or capricious reasons (see Article 21.9.3, paragraph 1 for further explanation on just cause rights). Lecturers with continuing appointments may be subject to layoff or reduction in work if the Dean determines that the work they are performing is to be eliminated, reduced or assigned to a tenure stream faculty member (NOTE: for the latter, Senior Lecturers and Senior Lecturer II’s are granted additional protections from replacement by tenure track faculty; see Article 21.9.4(c) for details). Notice of layoff or reduction in work must be given 1 year in advance. Reverse seniority, in positions deemed substantially the same, within a department will determine the order of layoff or reduction in work. Lecturers with continuing appointments who are laid off or who experience a reduction in work may be granted recall rights for a period of 3 years subsequent to the layoff or reduction (recall shall occur by inverse order of layoff). It is the responsibility of the Lecturer to assert their recall rights with their department or program. That means the Lecturer must notify the department or program of their decision to be placed on the latter’s recall list. The FSU recommends that you also ask your department or program for documentation of placement of your name on the recall list. Departments are required to first offer any additional work that may become available to qualified part-time Lecturers within that department before that work can be offered outside of the bargaining unit (this includes Navitas as well as CAPS courses, though the process for assigning courses in CAPS will be done according to a seperate priority system; see below for more information). The additional work will be offered according to departmental seniority. Please notify the FSU if such additional work has not been first offered to qualified part-time members of the department. NOTE: There are limited circumstances in which departments may offer additional work to new NTT hires before offering the work to current part-time unit members. See Article 21.3 for further details. All Lecturers with 6 years of full-time equivalent service as a Lecturer, Associate Lecturer, or any other position (excluding student employment) with duties and responsibilities similar to that of Lecturer, will be eligible for promotion to Senior Lecturer (NOTE: ‘full-time equivalent service’ means you must be full-time for 6 calendar years to be eligible; if you are half-time, for example, it will take 12 calendar years; Associate Lecturers are not eligible for promotion). The Senior Lecturer title comes with a new salary floor and a promotional raise (see Salaries and Ranks below). In addition, Senior Lecturers will be granted additional protections from replacement by tenure track faculty (see Article 21.9.4(c) for details). Except for the group mentioned in the note below, all Senior Lecturers with 6 years of full-time equivalent service as a Senior Lecturer, will be eligible for promotion to Senior Lecturer II (‘full-time equivalent service’ means you must be full-time for 6 calendar years to be eligible; if you are half-time, for example, it will take 12 calendar years). The Senior Lecturer II title comes with a new salary floor, a promotional raise (see Salaries and Ranks above), and the possibility of moving to a full-time load of 7 courses per academic year with a partial service and/or scholarship assignment (see Workload above and/or Article 21.2.7). In addition, Senior Lecturer II’s will be granted additional protections from replacement by tenure track faculty (see Article 21.9.4(c) for details). NOTE: Those Lecturer II’s who were converted to Senior Lecturer when the 14-17 contract was implemented (Spring 15) will be eligible to apply for Senior Lecturer II after 10 calendar years from their hire date regardless of their current or past full-time equivalent. For details on the standards, criteria, and review process for both the Senior Lecturer and Senior Lecturer II promotions, see Article 21.12. Note that promotional applicants will be evaluated on the work they are paid to perform, including service and scholarship where applicable, except that additional voluntary service beyond the basic level, such as committee work, may be considered positively in the promotion review but lack of such additional work cannot be considered negatively (i.e. ‘help but not hurt’; see 21.12.2(a)(1)). Please note: Non-tenure track faculty who are eligible for promotion to Senior Lecturer or Senior Lecturer II will not be notified by the Administration of their eligibility. Non-tenure track faculty must determine their eligibility themselves and then notify their department chair of intent to apply. Notification of intent to apply must be submitted to the department chair in May of the Spring semester PRIOR to the academic year in which the member is expected to accrue the requisite amount of full-time equivalent service (see the Provost's Master Academic Calendar for the specific date). Once approval to apply has been granted by the chair, members will have until no later than the first day of the Spring semester of the academic year in which he or she has accrued or will accrue the requisite amount full-time equivalent years of service to submit their applications. Contact the FSU if you do not receive a timely response from your chair regarding eligibility or if you believe you are being incorrectly deemed to be ineligible. Non-tenure track faculty who are unsure of their full-time equivalent years of service should request that information from their departments and/or Human Resources. The FSU encourages any non-tenure track faculty who are unclear on their total years of service but who believe they are close to eligible or believe they are currently eligible to inform their chair of their intent to apply for the promotion. The review process will occur during the Spring semester in which the member has accrued or will accrue the requisite amount full-time equivalent years of service and the candidate will be notified no later than August 15th of the summer immediately following the review (the promotion will take effect September 1st). Any non-tenure track faculty who has applied for a promotion but is rejected may reapply as early as the following academic year. (see 21.12.4 for more details on the timing of the promotional process). Lecturers must be continuously employed from date of hire in order to be considered for promotions. Continuity of employment will be maintained if a lecturer has any of the following contract-approved interruptions in service: 4 semesters or less for parental leave, medical leave, family leave, approved professional development leave, or other authorized leaves; 3 semesters or less for breaks caused by the employer, i.e. lack of courses; and periods of lay off (see Article 21.13 for details). For all other breaks in service, a Lecturer will be deemed a new hire for purposes of promotions, seniority, salary, etc. upon being rehired subsequent to the break. The FSU strongly recommends that you obtain written authorization for all leaves described above. We also recommend that you maintain a record of any requests to your department for courses in every semester in which they are made. Without such documentation, you may be deemed to have voluntarily severed your employment relationship with the University if you are not given courses or have taken time off and hence will have your continuity of service ended. In addition, professional development leave must be recommended by the department chair and approved by the Dean so you will need to have written documentation from the Dean of PD approval. NTT with continuing appointments whose courses are cancelled will be reassigned work. If no work is found they will be expected to do an overload in a subsequent semester (i.e. teach 1 course in Fall get paid for 2; teach 3 courses in Spring get paid for 2). They will not be reduced in pay unless work reduction is a result of a layoff (see Layoff and Reductions in Work above for more info). Lecturers, Senior Lecturers, and Senior Lecturer II’s without continuing appointments whose courses are cancelled will not be guaranteed reassignment of work. However, the university will make effort to reassign them work for that semester inclusive of reassigning work from Associate Lecturers. Associate Lecturers whose courses are cancelled will not be given alternative assignments and will have their workload reduced for that semester. NTT who have a course cancelled after the start of the semester are eligible to receive 8% of their compensation for that course provided that they are not given a substitute course prior to the conclusion of the Add/Drop period. See Article 21.1 for more information. All Lecturers who are half-time or greater (generally 2 courses a semester, including CAPS and Navitas courses) will be immediately eligible for benefits (health insurance, dental insurance, and retirement). In order to maintain benefits, Lecturers must continue to maintain a minimum half-time status each F/S term. A benefited Lecturer who is assigned to a less than half-time appointment and subsequently loses benefits will become eligible for benefits again immediately upon resumption of a minimum two-course appointment. NOTE: Summer and Winter intersession CAPS courses do NOT count for qualifying for benefits or for maintaining benefits. Also, it is not sufficient to teach three courses one semester and one the next: the GIC (the Commonwealth’s insurance commission) requires that benefited employees be employed at least half-time each semester of the academic year. Departments may hire temporary appointments to replace faculty who are on leave, to fulfill instructional needs whose scope and duration are limited, or to fulfill highly specialized instructional needs (certain NTT may have the title Associate Lecturer even if they do not fit the aforementioned criteria; see Exception below for more information). Non-tenure track faculty hired into such an appointment will be given the title Associate Lecturer. Associate Lecturers can only be rehired or granted additional work if the need for the temporary appointment is extended (i.e. a tenure track faculty member extends his/her sabbatical by one semester thus creating the need for a second temporary appointment to teach their course for an additional semester). Associate Lecturers are not eligible for Lecturer promotions nor are they eligible for just cause rights or continuing appointments. However, Associate Lecturers will be converted to Lecturer if they serve 4 consecutive semesters at 50% or greater (for those Associate Lecturers converted to Lecturer, all time served as Associate Lecturer can be applied to creditable time for purposes of promotion and eligibility for continuing appointment (for more information on the Associate Lecturer position see Article 21.11). Please contact the FSU if you are hired into an Associate Lecturer position but your appointment does not fit the Associate Lecturer criteria mentioned above (i.e. you were not appointed as a temporary replacement). EXCEPTION: All NTT who were per-course lecturers (this does not apply to any NTT who had the title Lecturer I, Lecturer II, or Senior Lecturer) under the 12-14 contract were converted to Associate Lecturer regardless of length of service or nature of appointment (i.e. whether or not it is temporary). Associate Lecturers who were post-probationary, per-course lecturers in the 12-14 contract (i.e. had 3 years of service from hire date regardless of percentage of time by 7/1/14) retain their just cause rights as enumerated in Article 21.8.2, 21.8.3, and MOU 7. All courses taught for Navitas will be governed by the main unit collective bargaining agreement in regards to pay, process for assigning additional work, counting of creditable and service time for promotions and retirement, etc. CE courses are defined as all courses taught off-site, all courses taught on-site between Friday, 3PM and Sunday, and all Summer/Winter courses (see Article 36 of the contract). NOTE: All Fall/Spring courses previously taught in CAPS that do not fit the criteria for a CE course enumerated above will be considered regular, ‘day unit’ courses for purposes of course assignments, pay, creditable time, etc.Note that CE priority lists do not differentiate between tenure stream and non-tenure stream faculty in assigning courses. Fall/Spring CE courses will be assigned to members in the same manner as regular, ‘day unit’ courses (see Article 21). Seniority for Summer/Winter CE courses in a given department is determined by the total number of Summer/Winter CAPS/UC/CE courses taught in the department. Up to 2 Summer CE courses and up to 1 Winter course will be assigned via this seniority list, where “up to” is limited by the overall availability of the department’s Summer or Winter courses. If courses remain after current members of the list have been offered/given 2 Summer courses (1 In Winter), departments may assign any remaining courses to those newly teaching Summer/Winter CE courses. Fall/Spring CE courses will be paid at the member’s individual salary rate (see Article 26 and/or Salaries and Ranks below for salary and salary floor information). Associate Lecturers= $4,500 (NOTE: if an individual’s Summer/Winter rate was already higher than $4,500 their rate cannot be lowered to the minimum). Full time non tenure track faculty are now eligible for a semester of parental leave at full pay. To qualify faculty must have 3 full time years of service. The 3 full time years of service need not be consecutive. Members who do not meet the aforementioned criteria but wish to take parental leave are eligible for unpaid leave through FMLA. Such members may also be eligible for maternity leave in accordance with the state's Maternity Leave Act. Contact Human Resources for further information on the process for applying for parental leave. The FSU contract contains a sick leave time provision that applies to non-tenure track faculty who are half-time or greater. According to the contract, full-time lecturers on academic year appointments can take paid sick leave time at the rate of 3.07 hours per two-week payroll period (for part-time lecturers who are 50% or over the number of hours will be pro-rated according to your percentage of time). In addition, eligible lecturers may apply to draw from the sick leave bank for any protracted illnesses or injuries should their personal sick leave time be used up (the granting of time from the sick leave bank is decided upon by a labor-management committee; for details on how to apply for the sick leave bank contact Human Resources). Up to 5 days of sick leave time may be granted for the purpose of caring for your spouse, child, foster child, stepchild, parent, stepparent, brother, sibling, grandparent, or grandchild for either yourself, your spouse, person for whom you are the legal guardian or anyone in your household who is seriously ill (you may also apply to the sick leave bank for these purposes). It is important that you notify your department of absence due to illness as soon as you are able to. Failure to notify your department can result in your sick leave being unpaid or possibly even in termination. However, under no circumstance can absence due to illness result in termination without pay as long as you have properly notified your department. Keep in mind that the Administration may require you to provide a notice from a physician in regards to your illness or those in the categories mentioned above for absences of longer than 3 days. According to the Family Medical Leave Act (FMLA) and state law, employers are required to find work for employees returning from sick leave that is equal to or comparable to the work that was being performed prior to their sick leave. If sick leave results in courses being given to other members of the department, the returning NTT faculty member may be given alternative assignments (service work, departmental administrative work, other courses, etc.). In the event that such work is not offered and the NTT finds him/herself without paid work for the remainder of the semester, the FSU would encourage them to apply to the sick leave bank for additional sick time such that they can receive full sick time for the entire semester. For more information on sick leave see Article 27.3.3. NOTE: Fall/Spring CE and Navitas courses taught by bargaining unit NTT faculty (i.e. NTT half-time or greater or less than half-time NTT at the start of their 2nd year of employment) will be paid according to the individual NTT’s salary rate. Summer/Winter courses are paid according to the current per-course CE rate and may differ from the individual’s Fall/Spring rate (see the Continuing Education (CE) section above and Article 36). Also, the salaries listed below are the contractually mandated salary floors. Individual salary rates may vary but cannot be below the floors. Associate Lecturer- (see 'Associate Lecturers' above for a definition of the rank) are paid a flat rate of $5000 per (3 credit) course. Lecturer- All newly hired non-tenure track faculty will be hired into the rank of Lecturer except those who are hired as Associate Lecturers,Floor: $52,000 pro-rated to percentage of time. Senior Lecturer- (see Lecturer Promotions above for criteria for rank and promotion)- Floor: $57,500 pro-rated to percentage of time; in addition, all Lecturers promoted to Senior Lecturer will be given a promotional raise of $5,500, also pro-rated to percentage of time. Senior Lecturer II- (see Lecturer Promotions above for criteria for rank and promotion)- Floor: $63,000 pro-rated to percentage of time; in addition, all Senior Lecturers promoted to Senior Lecturer II will be given a promotional raise of $5,500, also pro-rated to percentage of time. A Lecturer’s individual rate of pay for Fall/Spring employment will remain the same regardless of their percentage of time (i.e. a full-time Lecturer who earns $52,000 a year to teach 4 courses a semester will earn $6,500 per-course if they drop to 25% time). Please note that this does not apply to Summer/Winter courses (see Salaries and Ranks above). 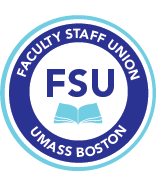 All non-tenure track faculty in the bargaining unit, regardless of percentage of time or benefits status, are eligible for merit pay. In order to receive merit pay, faculty members must complete an Annual Faculty Report (AFR) or its approved equivalent. NTT must be evaluated for merit only in the areas of their assigned duties with the following exception: Deans may allocate monies from the college merit pool (Pool B) for service and scholarship performed by NTT even if it is not part of their assigned duties (those who do not perform such work, i.e. work that is not part of their assigned duties, cannot be denied merit awards if they would otherwise be eligible; see Article 26.2 for on merit pay). Therefore, we recommend that you note in your AFR if you have performed uncompensated work such as service and scholarship. Contact your department chair and/or the Provost’s Office for more information on how to access and complete the AFR or its approved equivalent. *Note that the current ’18-’20 contract suspends all merit pay in favor of pure across-the-board increases. All bargaining unit members inclusive of non-tenure track faculty who are half-time or greater are eligible for RES Funds (see Article 26.6 for more info; note that $50,000 per year of the contract will be allocated to an RES Funds pool that will be dedicated exclusively to non-tenure track faculty). Notification on how to apply is given by the Provost's Office (this usually occurs in February). If you do not receive notification you should contact the Provost's Office directly. NOTE: All language in Article 21 (Non-Tenure Track Faculty) that is not explicitly related to Clinical Nursing Faculty will apply to Clinical Nursing Faculty unless otherwise specified. Clinical Associate Lecturer- Associate Lecturers who teach primarily clinical instruction. Licensure needs to be maintained. Will be given minimum 25% time per 3-credit course. Clinical Professor (all ranks)- Those who teach clinical instruction need licensure and a terminal degree in field; those who perform department/college service, engagement in scholarship of practice, will be 3/4. If they are reduced below 3/4 to do ‘greater than normal’ service, they will be evaluated accordingly. Will be given minimum 25% time per 3-credit course. All appointment language for NTT applies to Clinical Nursing Faculty except that Clinical Professors (all ranks) are generally appointed at 100% (must be minimum of 50%) and will have initial appointment of 1, 2 or 4 years. All promotion language for NTT applies to Clinical Nursing Faculty except that Clinical Professors (all ranks) will need to provide the names of 2 external scholars/professionals for promotion review if they have a reduction in teaching due to service/scholarship of practice (2 additional names to be provided by Chair). Clinical Assistant Professors can apply for Clinical Associate Professor after 6 full-time equivalent (FTE) years. Clinical Associate Professors can apply for Clinical Professor after 6 FTE years. Travel Funds- Clinical Professors (those on the scholarship or practice track) will be eligible for the Travel Funds for scholarly work (see Article 26.6.1(b)). Replacement by a Tenure Track Faculty Member- Clinical Senior Lecturers, Clinical Senior Lecturer II’s, and Clinical Professors (all ranks) with continuing appointments will be subject to the language re replacement by a tenure track faculty (see 21.9.4(b) for details).